Even our rural Devon society is thoroughly European. What better way to highlight this than to listen to people's personal stories, told in this section. Take a look around and be surprised by the profiles of people who witnessed World War II and its aftermath, people who remember their parents' and grandparents' plight as victims of persecution, or people who simply chose to live here because it was where they wanted to be. Read the stories of those who came to Devon because the EU's Freedom of Movement enabled them to do so. Of people who are linked to Europe through business and family. Listen to the life-stories, condensed into short 'Profiles', of Europeans in Devon, whether from the mainland or the UK. You are very welcome to contribute your own 'Profile', using the stories published here as a guide to length and style. You should send it to the editor of this section, Martina Lauster, at euprofiles@devonforeurope.org. Both my parents were German, my mother Jewish. 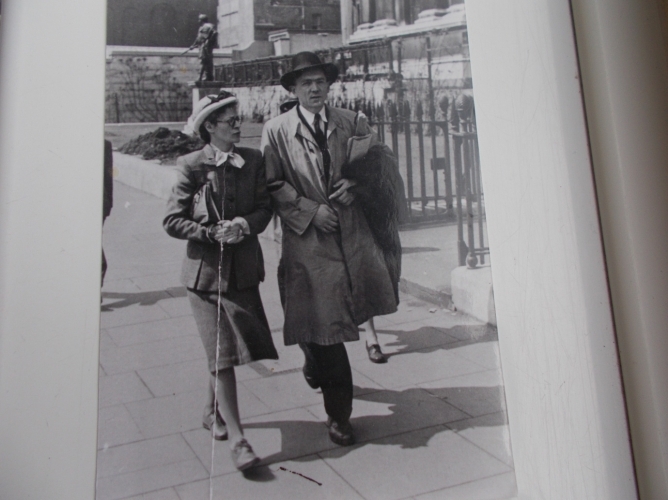 They eloped to England in 1932, seeing which way the wind was blowing in Germany. A year later their passports stamped them ‘undesirables’, stating that Germany could not vouch for the consequences if they attempted re-entry. My father became an English apple grower, my mother solved cryptic crosswords and read British crime fiction. I have lived all my life in England, over half of it in Dorset where I brought up a family and taught the clarinet. I have sole British nationality, but my parents’ abiding cross-channel outlook rubbed off on me. Family and friends scattered throughout Europe have been a constant throughout my life, as has enjoyment of European languages and culture, which led to recent MA and PhD studies at Exeter University around a German clarinettist and a regrettably forgotten German writer. One of my mother’s sisters, a burgeoning classical scholar, benefited from the UK’s earlier cross-channel outlook: the Academic Assistance Council, founded in 1933 by William Beveridge to help politically threatened academics, offered her a position at one of the Oxford colleges, saving her from dismissal and worse under Hitler and launching her on a career of repute. Statistically I belong to the allegedly pro-Brexit-voting demographic, but I have continued to identify strongly as European. Having enjoyed an increasingly free exchange and common identity with mainland Europe throughout my adulthood, I feel deep disappointment at the prospect of the process going into reverse. As a schoolchild in the post-war 1950s I proudly countered accusations of being German by insisting I was more British than my accusers, my family having chosen Britishness while their nationality was a mere accident of birth. I cannot boast of sharing the Britishness of Brexit. I came to Britain in 1980 as a university language assistant in German, loved my job and obtained a permanent post at Keele University in 1989. In 2000 I was appointed Professor of German at the University of Exeter. I've been retired since 2008, living in Exeter and enjoying life as an amateur singer and violinist. From my teens in the late 1960s / early 70s Britain was the destination of my choice. I travelled there whenever I could. Germany with its history and many troubling legacies, which were still keenly felt when I grew up, was a difficult country to call my homeland. The institution responsible for my Anglophilia was an Anglo-German foundation called 'The Bridge / Die Brücke'. Its aim was to develop understanding between the two nations that had been war enemies. The first time I went to England, in 1969, was under the umbrella of 'Die Brücke'. Again, when I got my first job as a university teacher of German in the UK, I was part-employed by a German institution whose mission was to develop a deeper understanding of Germany among language students abroad, and of foreign countries among Germans teaching there. The Erasmus scheme, a European programme enabling university students to spend time at partner universities within the EU, came into being in the late 1980s. To me it seemed a logical, highly desirable development. After all, my own path in life owed everything to the European project. Page from Martina's Scrap Album made during her first visit to Britain in 1969. 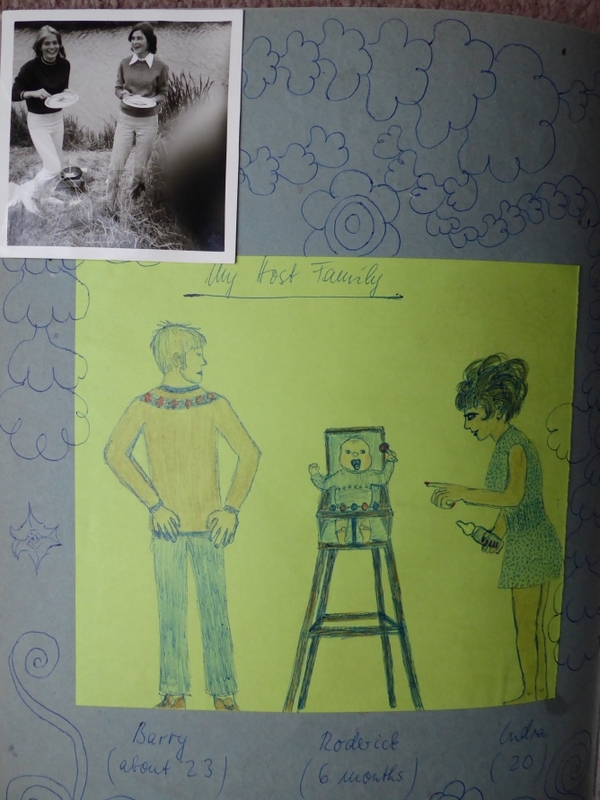 It shows her host family (Barry, Indira and baby Roderick) and a photo of herself, left, and a friend. Their visit was organised by 'The Bridge'. My husband David, born and bred in Northern England, taught German at Keele University and was a living example of a British European. I became a UK citizen after he and I married. Having spent my entire working life in Britain, then losing the husband with whom I had shared my enthusiasm for Europe, I was devastated by the Brexit referendum. The country of my choice wasn't the same any more, and I suddenly felt foreign – like so many other European Brits. My UK citizenship means I have nothing to fear for my future in this country, but Brexit would deprive me of my European citizenship, the legal manifestation of what I am: a British European. I came to England from Germany as one of the first war brides in 1946, just 18 years old. I have lived on a farm in Devon for 71 years and fell in love with the beautiful Devon countryside on my first day. I could not have received a warmer welcome from anybody I met, considering it was just after the war. Devon has become my second home. Every year I visited Germany with my husband and our five children. Likewise we had visits from German friends. Devon has become a much loved county for them as well. Our children have been brought up with English and German traditions and speak German reasonably well. My brother was a POW and worked on farms in Devon. The friendships he made with the farmers and their families lasted for 70 years. I was saddened and shocked by the Brexit Referendum, something I thought could never happen. Not to belong to the EU any more is to me like losing a limb. A united Europe would be a help and good example to the rest of the world. If I cannot be a British European I look forward to being a Devon European.